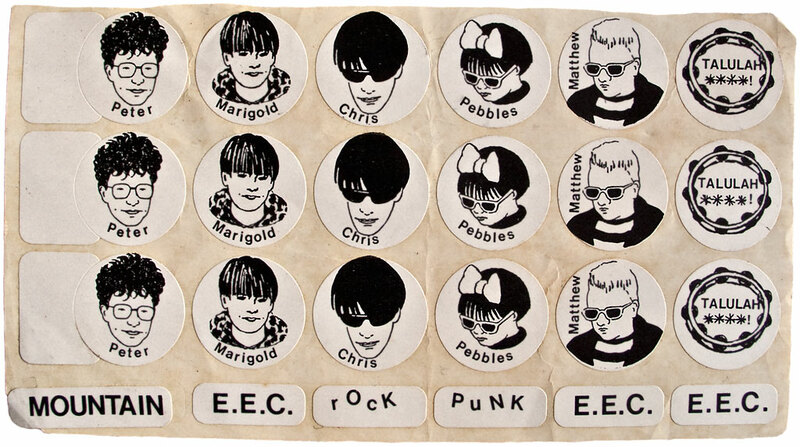 Dipping our spoon back into the primordial indie soup, these stickers were given out on the door when Talulah Gosh played the EEC Punk Rock Mountain, a pre-Sarah club night at the George & Railway in Bristol. 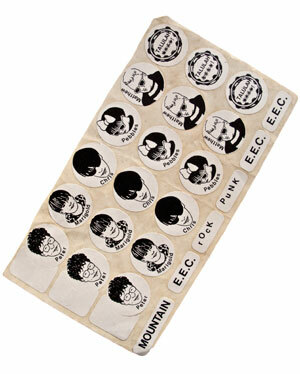 I was never entirely sure where to stick them – despite many suggestions over the years – which is why I still have them. I should probably credit Robena with the design, by the way – she was the artist in the EEC PRM’s utopian indie-pop collective. NB for those not around in 1986, Marigold is what Amelia was then calling herself, Pebbles is what Liz was calling herself, and the EEC was an attempt to bring about pan-European economic cooperation and integration and establish a common market which is, of course, a Very Good Thing.